Republicans welcome the release of Army Sergeant Bowe Bergdahl, but express concern over the five Taliban terrorists released in exchange. Republicans in the United States welcomed on Sunday the release of Army Sergeant Bowe Bergdahl, but questioned the price the U.S. had to pay: the release of five Taliban terrorists. Bergdahl, held for nearly five years in Afghanistan, was freed Saturday in a deal with the Taliban brokered by the Qatari government. While Bergdahl's released was celebrated by his family and his hometown, Senator John McCain and other Republicans questioned whether the administration had acted properly in releasing the terrorists, according to Reuters. "These are the highest high-risk people. 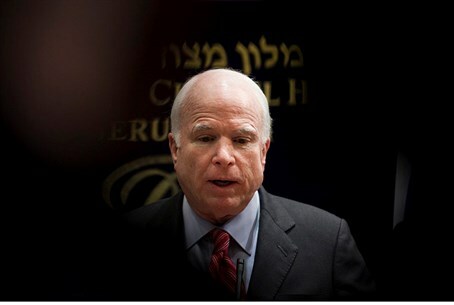 Others that we have released have gone back into the fight," McCain said. Some Republicans suggested the administration had bypassed a legal requirement to notify Congress 30 days in advance about prisoner releases from Guantanamo and said the deal amounted to a negotiation with terrorists. Republican Senator Ted Cruz of Texas called it a "dangerous price" to pay, according to Reuters. Obama's national security adviser, Susan Rice, said the administration was concerned about Bergdahl's health and upheld a "sacred obligation" to return soldiers from the battlefield. "We had reason to be concerned that this was an urgent and an acute situation, that his life could have been at risk," Rice said on ABC's "This Week." "We did not have 30 days to wait. And had we waited and lost him, I don't think anybody would have forgiven the United States government," she added. U.S. Defense Secretary Chuck Hagel said he hoped the exchange might lead to breakthroughs in reconciliation with terrorists and rejected accusations from Republicans that it resulted from negotiations with terrorists, saying the swap had been worked out by the government of Qatar. "We didn't negotiate with terrorists," Hagel was quoted as having said in an interview on NBC's "Meet the Press". "As I said and explained before, Sergeant Bergdahl was a prisoner of war. That's a normal process in getting your prisoners back,” he added. Meanwhile, the Taliban on Sunday celebrated the exchange as a "big victory." "I extend my heartfelt congratulations to the entire Afghan Muslim nation," said Taliban leader Mullah Mohammad Omar in a video clip.